Join Morah Debbie Friedman, Morah Sheri Gross, and other members of our talented Schechter faculty for a special hour of love, song, movement and exploration. 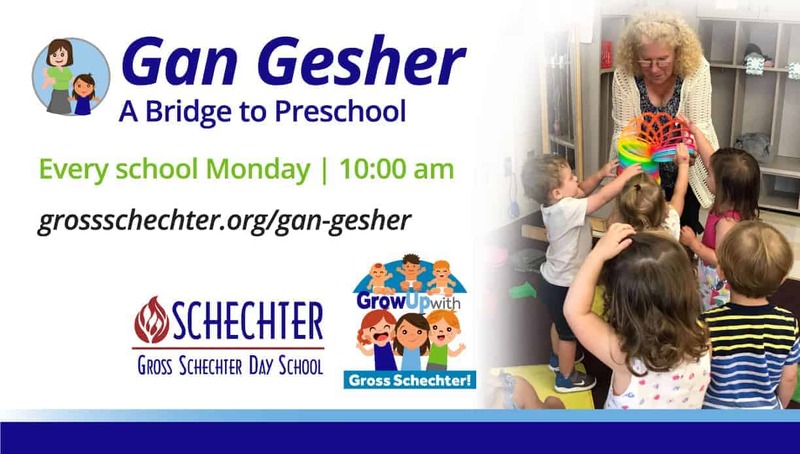 Gan Gesher (or “bridge”) is a chance to prepare for those preschool years ahead. Celebrate the Jewish holidays, celebrate the week, celebrate each other! Looking for more wonderful programs for you and your child? Check out our Early Childhood Programs.